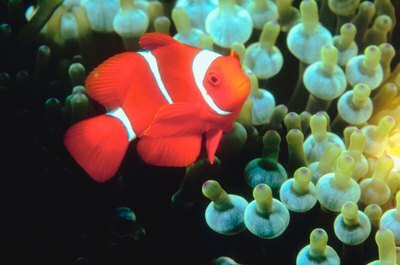 Most experts consider protein skimmers critical for marine aquariums. Many marine aquarium hobbyists like to make their own equipment, even protein skimmers. For some, the DIY approach saves money, appeals to the desire to build gear, and helps develop better understanding of saltwater aquariums. The endeavor requires careful planning and execution, particularly for a protein skimmer. Design your protein skimmer. Many variations exist, and you will need to decide on several specifics. The biggest decision is whether to build an air-stone-based or venturi-based skimmer. Air stone skimmers are simpler and cheaper but have to be bigger to work in this application, while venturi skimmers can be smaller and more efficient but require the purchase of an expensive venturi pump. Select your water pump. All variations require some kind of water pump to move water through the skimmer. Unlike a lot of aquarium gear, you do not want a super-powerful pump. Ideally, you want to move roughly three-quarters of the aquarium volume per hour through the skimmer. Drill into the length of pipe that will serve as the main body for your skimmer. You will need a minimum of three holes -- an inlet, an outlet and a hole in the bottom center of the collection cup. The inlet is typically higher on the skimmer body than the outlet, and you need to drill the collection cup through the bottom center. You may also need additional holes for air tubing or a venturi pump, depending on the specifics of your design. Some designs feature a drain on the collection cup to make it easier to dispose of the organic waste. Attach your plumbing with PVC or ABS bulkhead fittings. The specifics will vary based on your specific design. You will also need to plumb the collection bottle to the top of the skimmer, ideally with rigid PVC pile. You should also attach any air tubing at this point, but hold off on pumps and air stones. Seal the skimmer. You will use either aquarium glue or PVC cement and primer, depending on the specific materials you're using as hardware. Once the glue or cement has fully cured, soak the skimmer in sterile water for 48 hours and then rinse. Attach the skimmer to any air stones, pumps and the collection cup. Test your skimmer. Most designs require calibration of the water flow from pumps and air stones to work properly. Take time in your research and planning. Homemade protein skimmers can vary from crude instruments made out of plastic water bottles to acrylic columns taller than a person. Add valves to your air hose so you can control the airflow to the skimmer. Make your skimmer body out of clear material so you can control it carefully. Skimmers often require adjustments to their air stones or venturi valves, and seeing the water column allows you to make real-time adjustments to your bubbles. Purchase the highest-quality air stone you can. Avoid glass components; if they shatter, they can cause serious injury. Leak-test your skimmer for at least 48 hours. Ideally, install it in-sump in case of leaks. Be careful when cutting pipes and tubing; apply glue in a well-ventilated area.